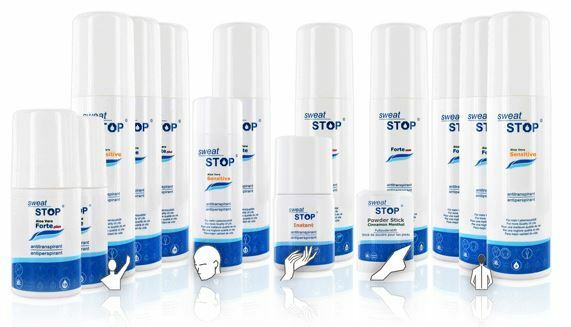 SweatStop® IXAL Roll-on normalises excessive sweating and combats sweat odor. For use in lasting, severe axillary sweat and axillary hyperhidrosis. Gentle to the skin, it actively repairs and protects. With the worldwide patented active ingredient F.A.G.®. 30-day money back guarantee. Why SweatStop® IXAL Against Hyperhidrosis? Validated and proven effective for many years. With an offer of 14 products you will find the perfect product tailored to your need. 30-day money back guarantee. Experience since 2006. Continuous product development. SweatStop® helps and enables you to live a normal, relaxed life, without sweat. Product-Need-Generator: Match with the product suiting your need by answering only two questions.